We live in a fast paced world and every day, innovators are coming up with new ideas and products. They are able to look at problems in a different way and discover solutions which others have failed to find. The south’s innovators provide an endless stream of value to our economy. Innovation is the creation and transformation of new knowledge into new products, processes and services that meet market needs. Innovation creates new business and investment opportunities and is the key source of growth in business industry. Businesses that use their insights and act on them get ahead of the competition. They become the competition, leaving behind those that are stuck in their ways. An example of a company which has evolved and become a market leader through innovation is Uber. Uber’s Head of New Mobility, Fred Jones, joined us at #VFS17 to share the companies new ‘UberPool’ innovation. When you order a Pool trip, the app will find a nearby rider going a similar way to you, so that you can share the cost of the trip. This money saving innovation is one of the reasons Uber is the most popular private driver companies in the UK. We are entering a creative age which is about constant innovation and accelerating change. Successful businesses are those that can adapt quickly and have the ability and resources to fit in with new and unexpected unexpected futures is better suited to an economy dominated by SMEs. 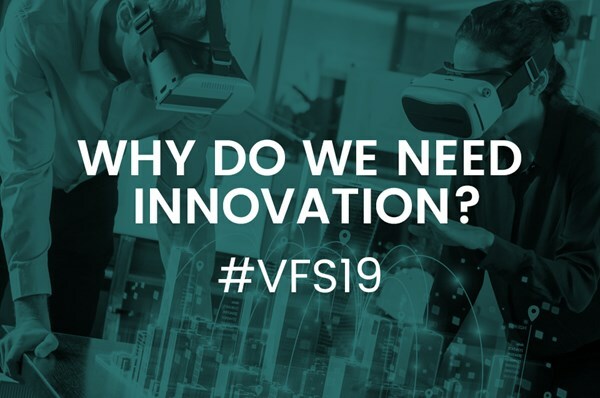 All of these reasons highlight the importance of events like Venturefest South. Join us on 29 March at our annual interactive one day conference featuring great speakers, seminars and workshops and valuable investor pitching sessions, as well as demonstrations of the latest technology and innovations.